Asbestos and Lead Abatement Services | Sierra Environmental Testing and Consulting Inc.
Asbestos is a name given to a number of naturally occurring fibrous silicate minerals that have been mined for their properties such as thermal insulation, chemical and thermal stability and high tensile strength. Asbestos identification can only be done utilizing microscopic techniques such as Polarized Light Microscopy (PLM) or Transmission Electron Microscopy (TEM) since the average human hair is 1000 to 1,200 times thicker than asbestos fibers. Asbestos has been identified as a cancer-causing material (carcinogen) and the cause of the lung-scarring disease, asbestosis. Cancers attributed to asbestos exposure include lung cancer, mesothelioma (an always-fatal cancer of the lining of the chest or abdominal cavity) and several digestive system cancers. Symptoms of these diseases generally do not appear for approximately 10-40 years. While most homeowners are exempt from the current regulations, if the work is conducted by the homeowner, health affects from exposure and potential contamination to the dwelling should still be considered. Commercial uses of asbestos have been banned in the United States, however buildings built between the early 1900’s and 1990 have a high likelihood to have asbestos in one or more of the building materials. Asbestos containing building materials most commonly found in structures typically consist of wallboard, joint taping compound, skim coats and textures, acoustic or “popcorn” ceilings, insulation, resilient floor coverings, thermal system insulation, fireproofing and some types cementuous products such as pipes and shingles or siding. Many other materials may be suspected. During work activities, exposure to airborne asbestos fibers may occur if the proper steps are not taken prior to the commencement of the activities. Any time interior or exterior building components are to be disturbed the building materials should be inspected and sampled by a qualified State Licensed Asbestos Consultant. Sampling for asbestos in building materials is typically done by collecting bulk samples of the suspect asbestos containing materials and submitting the samples to a laboratory for analysis. In the event that asbestos is identified in the materials to be disturbed, proper handling is required to ensure the health and safety of the occupants and the workers. 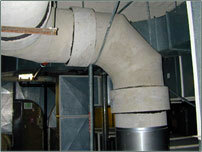 Compliance with local state and federal regulations is also needed when dealing with asbestos. Sierra Environmental Testing and Consulting Inc. offers asbestos consulting services including inspections, management planning, project design and monitoring in compliance with AHERA. Most non-school inspections are conducted utilizing modified AHERA protocols. All services are designed to be site specific with local, state and federal regulations in place. 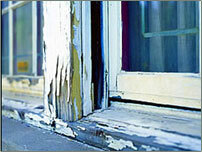 Lead based paint has the potential to affected anyone exposed to the material or dust created from the material. Older homes with painted wood windows, varnished floors and lead glazed ceramic tile have a potential to exhibit elevated lead in dust levels due to friction and wear and tear. 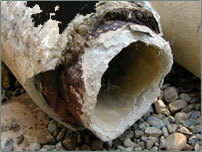 Lead testing is also required for OSHA compliance to ensure worker safety. Demolition and construction activities also fall under regulatory jurisdiction and may require testing prior to commencement of work. Sierra Environmental Testing and Consulting Inc. is certified by the California Department of Health Services as an accredited Inspector/Assessor. 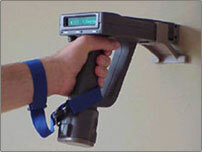 The LPA-1 Lead Paint Analyzer is a state-of-the-art XRF spectrum analyzing system for the quantitative measurement of lead in paint on any surface. The LPA-1 Analyzer provides a fast, accurate measurement of lead content in as little as 2 to 4 seconds with a 95% confidence level, thereby assuring the highest level of productivity for an inspector. Lodi, Sacramento, Stockton, Foothills, South Lake Tahoe, Chico, Placerville, Auburn, Angels Camp and many more. Sierra Environmental Testing and Consulting © 2019 You are visitor #312.